San Diego’s AleSmith Brewing Company began brewing in 1995, and after 22 years they continue to thrill craft beer fans around the world. Speedway Stout first appeared in 2002 and was one of the most highly sought after imperial stouts in the early days of craft beer. People may no longer wait in line to acquire a bottle of Speedway Stout, but AleSmith continues to excite beer nerds with the release of special coffee variants, and barrel-aged versions of this beer! 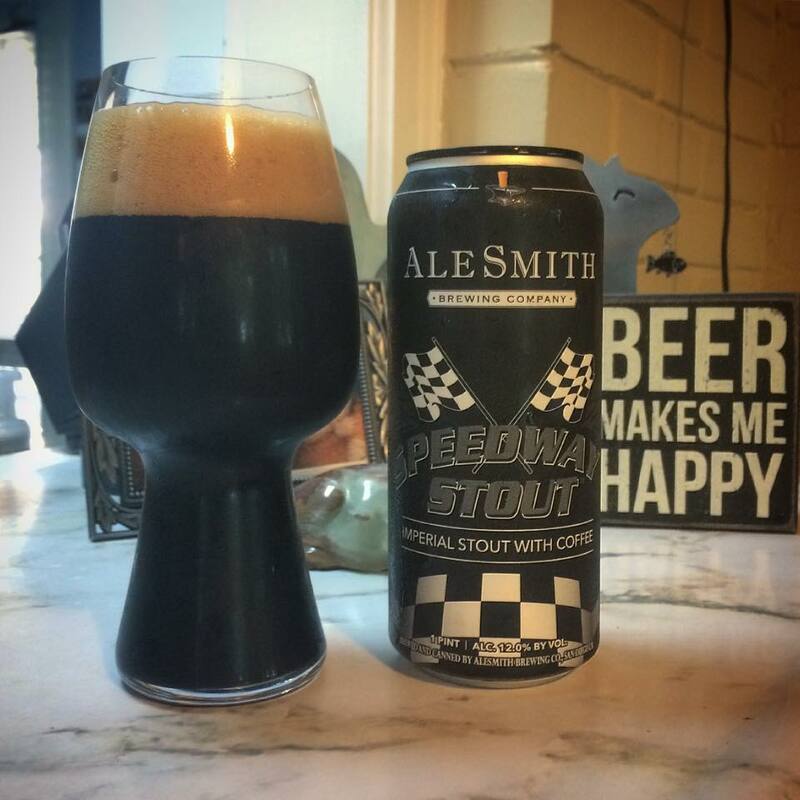 AleSmith Brewing Company Speedway Stout is an American Double/Imperial Stout that is available year round. This massive 12% ABV beer has “a healthy dose of locally-roasted coffee from Ryan Bros. Coffee, Inc. added to each batch”. Previously only available in 750 ml. bottles, I found this can on the shelf at Tasty Beverage in Asheville, NC. The first cans of Speedway Stout were made available in February of 2017. Although there are some numbers printed on the bottom of the can it’s not clear as to their meaning. No matter, obviously this beer was canned sometime between February and July of 2017. I do enjoy the art of the 750 ml. bottles, especially the nice touch of the silver foil over the cap and neck of the bottle. This, however, is one sharp looking can! The 16 oz vessel has a matte black shrink wrap label that prominently displays the traditional checkered flag logo of the beer. Probably the coolest feature of the can design is the black lids! Speedway Stout pours from the can with a pure jet black color. A large khaki head formed at the top of the glass, and slowly settles down towards the beer. The head clings to the sides of the glass before it finally finds itself as a thin layer. A fine looking imperial stout that has me eager to try this one again. Speedway Stout greets the nose with an array of rich and sweet aromas. The beer leads off with a combination of gooey chocolate caramel brownies, and freshly ground coffee. That would be an enjoyable and decadent aroma right there, but some more subtle notes appear as well. Roasted hazelnuts and sweet vanilla blend with the more dominate flavors adding some wonderful complexity. As the beer warms an almost woody and smokey aroma comes out on the nose. It is exceptionally mild, but a rather pleasant addition to the overall aroma. This adds just a hint of “campfire s’mores” to the beer, very nice! The taste of Speedway Stout is every bit as wonderful as I remember it being several years ago. Smooth and sweet vanilla quickly envelops the sides of my tongue at the beginning of the taste. This vanilla quickly gives way to the stronger flavors, with dark chocolate and strong black coffee hitting my palate immediately after. I’ve described this chocolate flavor in the past as brownie batter, and I think that holds true this time around as well. There is something about the condensed intensity of uncooked brownie batter that this beer has in the taste. The coffee flavor is strong and slightly burnt tasting, mixing perfectly with the big roasted malts. The 12% ABV is not totally hidden, but it is not a huge player in the overall flavor of the beer. I feel like the burn is right about where I want it to be. The back end of the taste brings a little bit of dark fruit sweetness in to the flavor mix, as well as an unexpected bit of bitterness. This is either a bit of hop bite, or a by product of the coffee, or maybe a combination of both. It’s a good bitterness though, creating a nice amount of balance to the bolder sweet flavors. The coffee, chocolate, and vanilla hang about in the aftertaste long after each sip is gone. This creates a nice slower pace of consumption for me (I tend to drink any beer way too fast), giving me more time to savor all of the flavor. Miles from being thin, but also not too thick or chewy. The best part of the feel of Speedway Stout for me is how smooth it is. 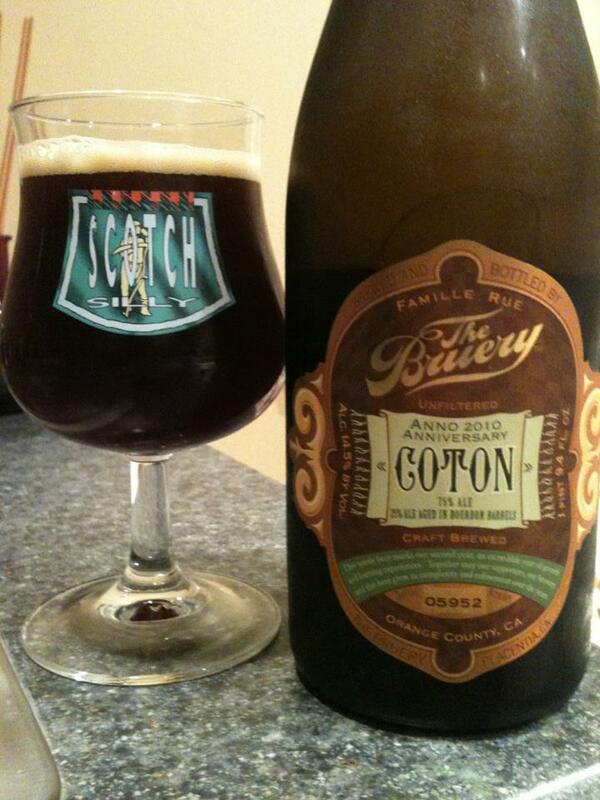 There is a silkiness to this beer that causes it to glide effortlessly over the taste buds. The carbonation is spot on. A little understated during each sip, but just enough CO2 tingle is left behind with the long lingering aftertaste of the beer. Excellent. This was maybe the third time I’ve had Speedway Stout, and once again it was fantastic. Although I would have no problem picking up a bottle of this at its typical $12.99 or so, the option to grab a 16 oz. can for half the price was nice. It certainly makes drinking the beer in one sitting more reasonable. If AleSmith is distributed in your state, lucky you! 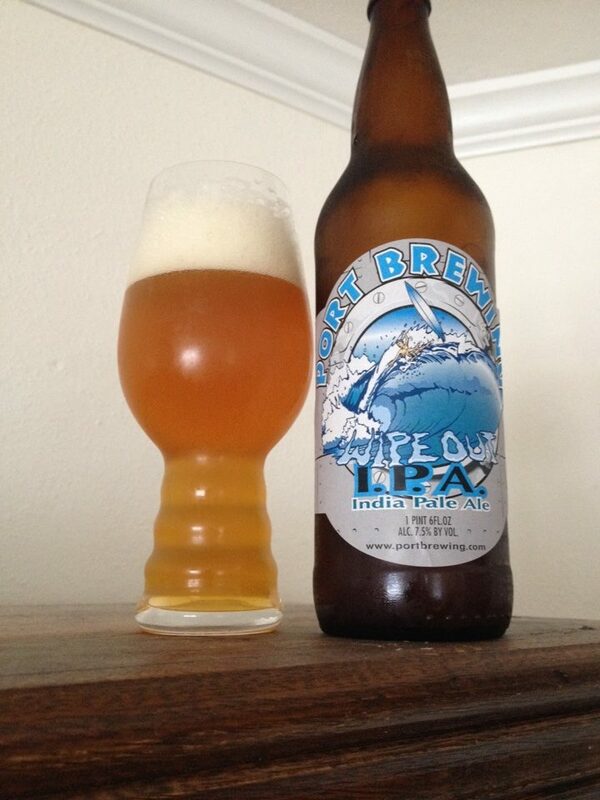 Having a beer like this available year round would be amazing. For the rest of us Speedway Stout should be extremely easy to trade for or order online. 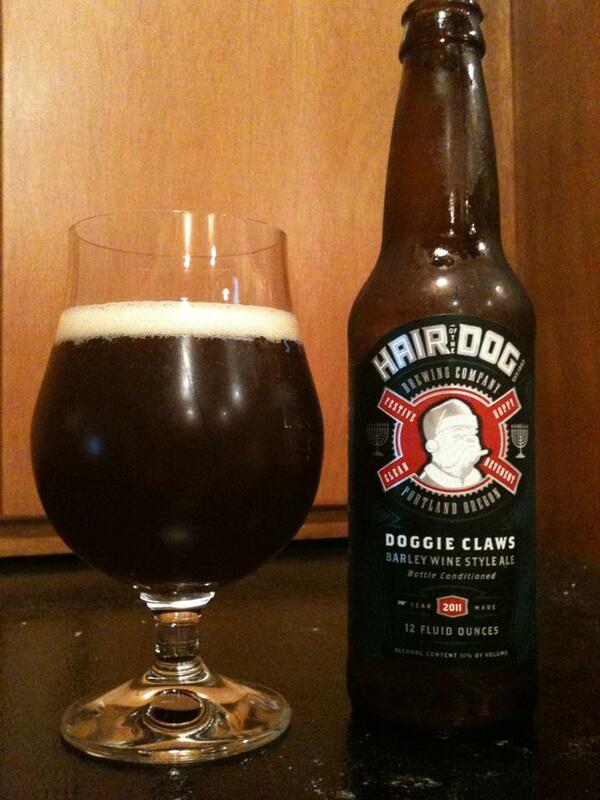 As far as I’m concerned this is a craft beer must try, seek and enjoy!